Jimmy Carter has just become America’s longest-living president in history – and he is still making sure that the country is on its way to a brighter future. The title used to be held by the late George H.W. Bush before he passed away in November at 94 years and 171 days old. Even though Carter made headlines this week for surpassing Bush’s record at 94 years and 172 days old, this is not his first news appearance in the last few years. It has been 38 years since Carter was in office, but the former president has only recently been responsible for creating a new health clinic in a small town that had been without a physician for four months; he leased out a portion of his own property in order to launch a solar farm powering half of his hometown; and his charity has been a major contributor in making guinea worm the second disease to ever be eradicated. Additionally, Carter was diagnosed with stage 4 melanoma in 2016 – and even though he was undergoing treatment, he still spent his time building homes for the needy in Tennessee. Thankfully, his immunotherapy treatments proved to be successful and he was declared cancer-free several months later. Carter, who is also still happily married to his wife of 70 years in a house that is worth only $167,000, is now one of only five other US presidents who have lived past the age of 90. “Both President and Mrs. Carter are determined to use their influence for as long as they can to make the world a better place. 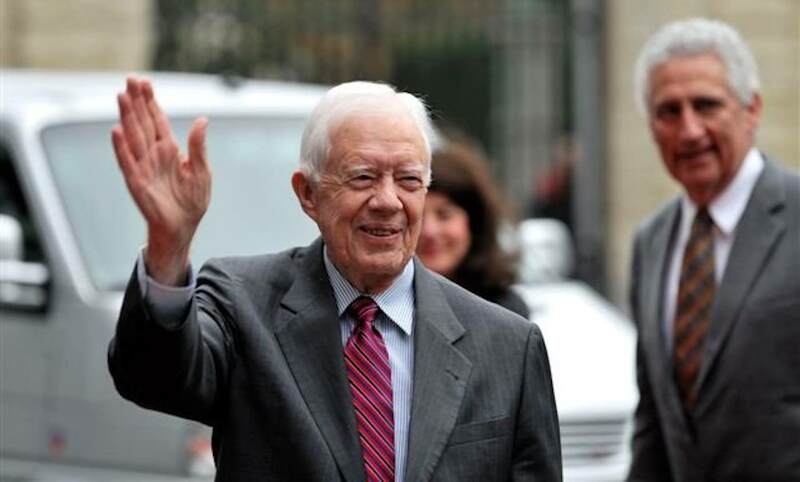 Their tireless resolve and heart have helped to improve life for millions of the world’s poorest people,” said a Carter Center spokesperson in a statement.